The British High Commission in Yaounde, Cameroon provides consular support to British nationals across four countries: Cameroon, Gabon, Chad and Equatorial Guinea in the sub-region. It also supports co-operation on climate change and energy security, regularly hosting meetings with international dignitaries and government officials. The consulate has just taken possession of its own 3 word address sign, making it much easier for people to find their way there. 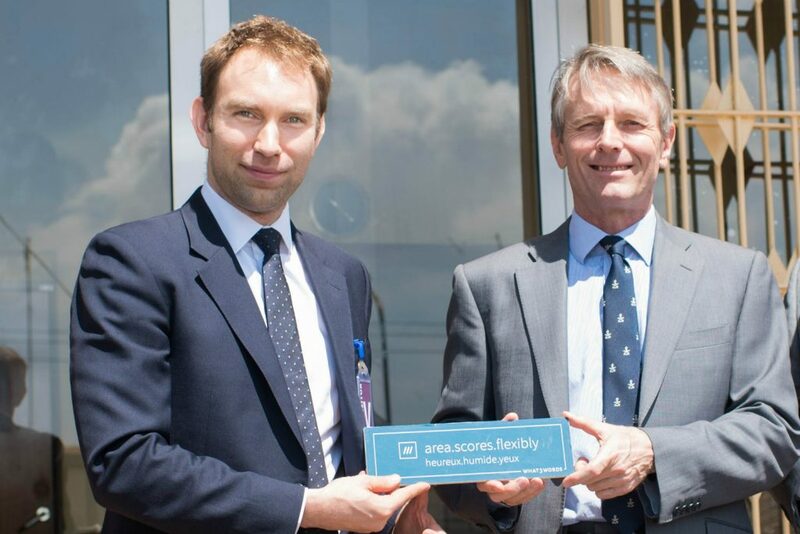 The sign was presented to the British High Commissioner to Cameroon, Brian Olley, by what3words CEO Chris Sheldrick. 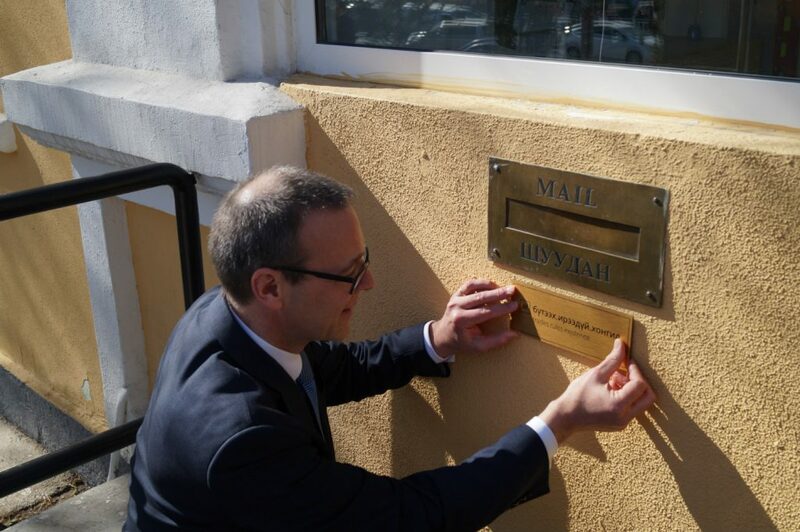 The British High Commission in Yaounde follows in the footsteps of the British Embassy in Mongolia, which last month became the first overseas consulate to add a 3 word address sign to their entrance (see photo below). Using a 3 word address is the simplest way to talk about location. The what3words algorithm takes complex GPS coordinates and converts them into unique 3 word addresses. The 3 word address can then be communicated to anyone, anywhere in 14 languages.